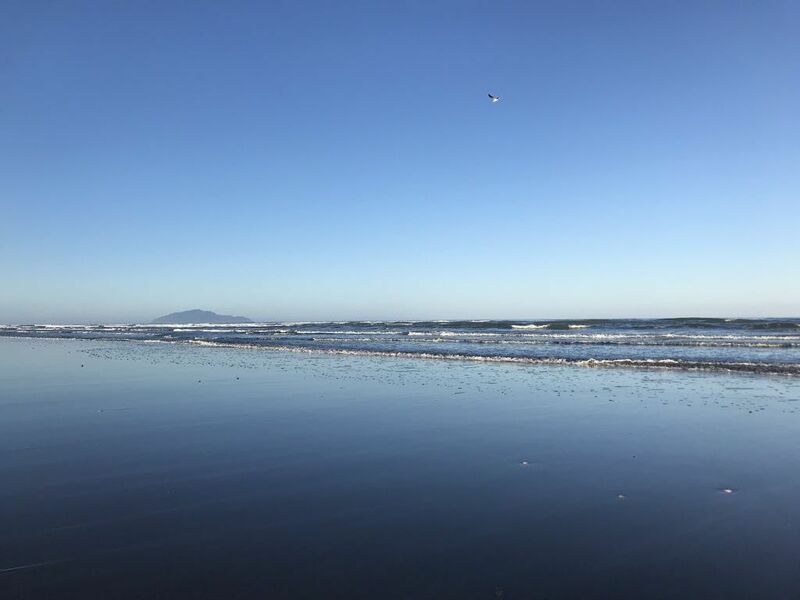 Looking south towards Kāpiti Island on a gorgeous morning. Meanwhile, what were these 2 scoundrels up to? 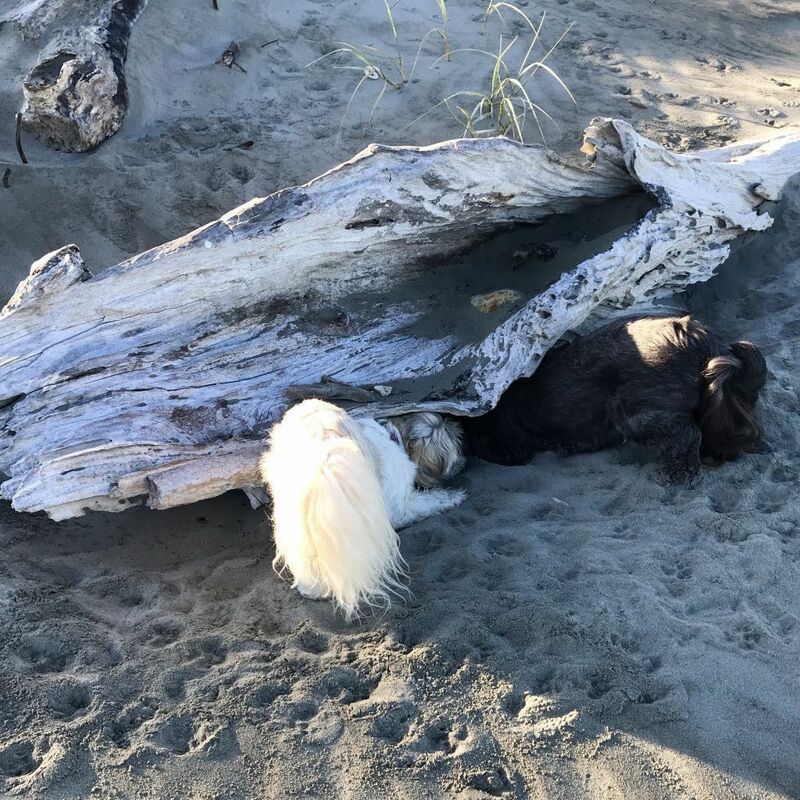 Photos: view from the beach towards Kāpiti Island; two small dogs disappearing under driftwood.